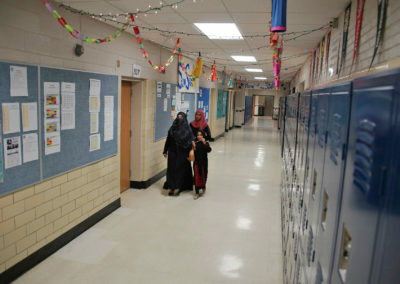 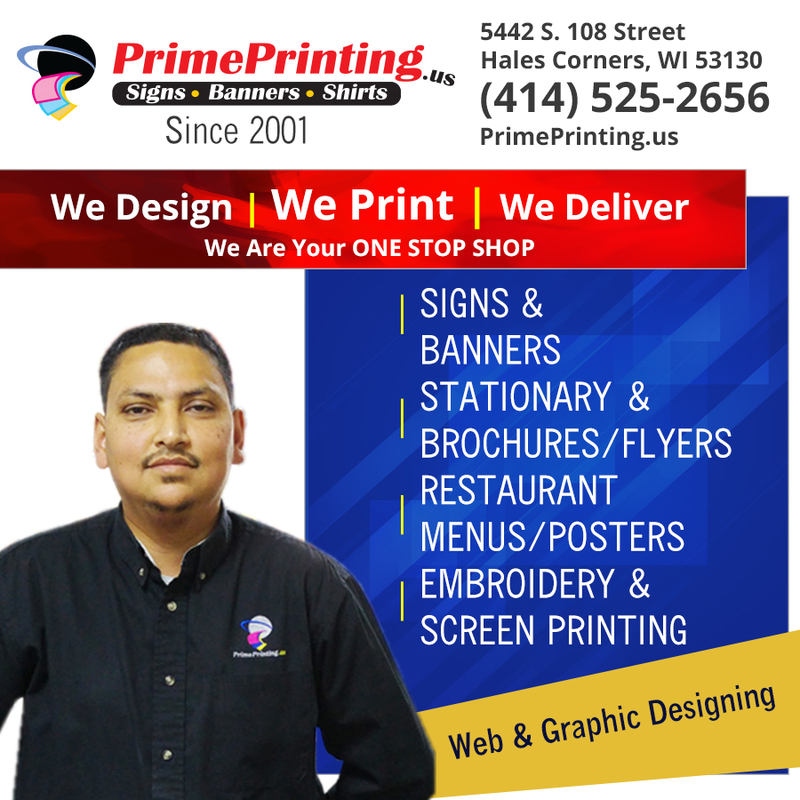 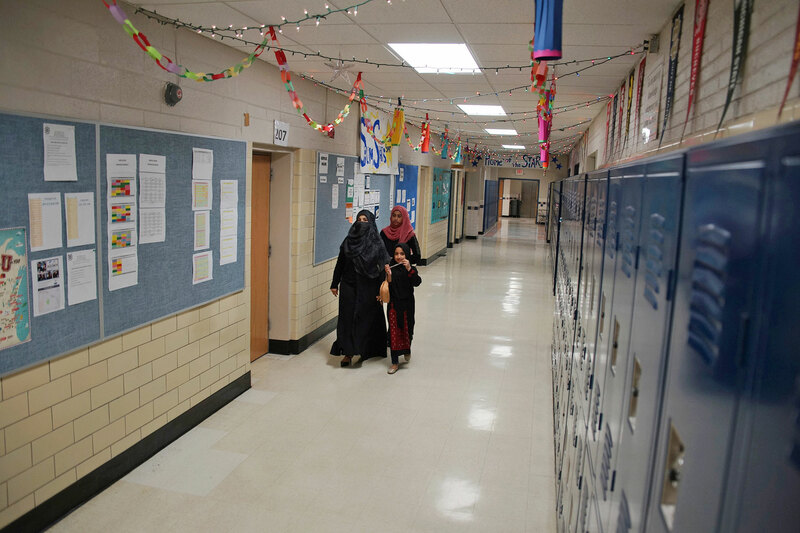 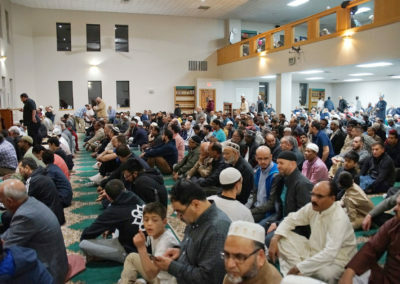 Muslims around the world and in Wisconsin began fasting for the month of Ramadan, which began this year on May 15. 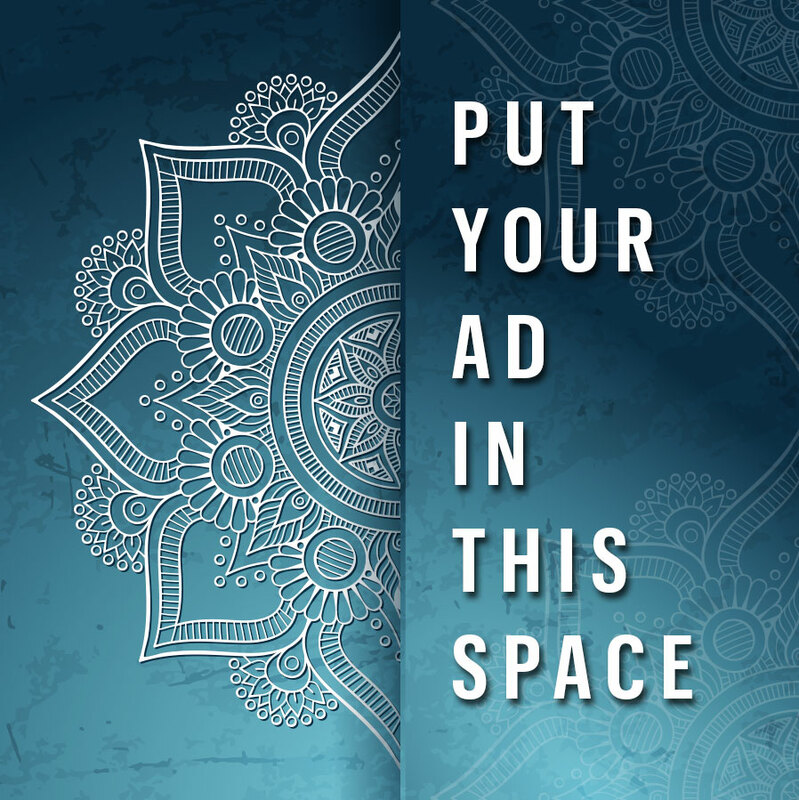 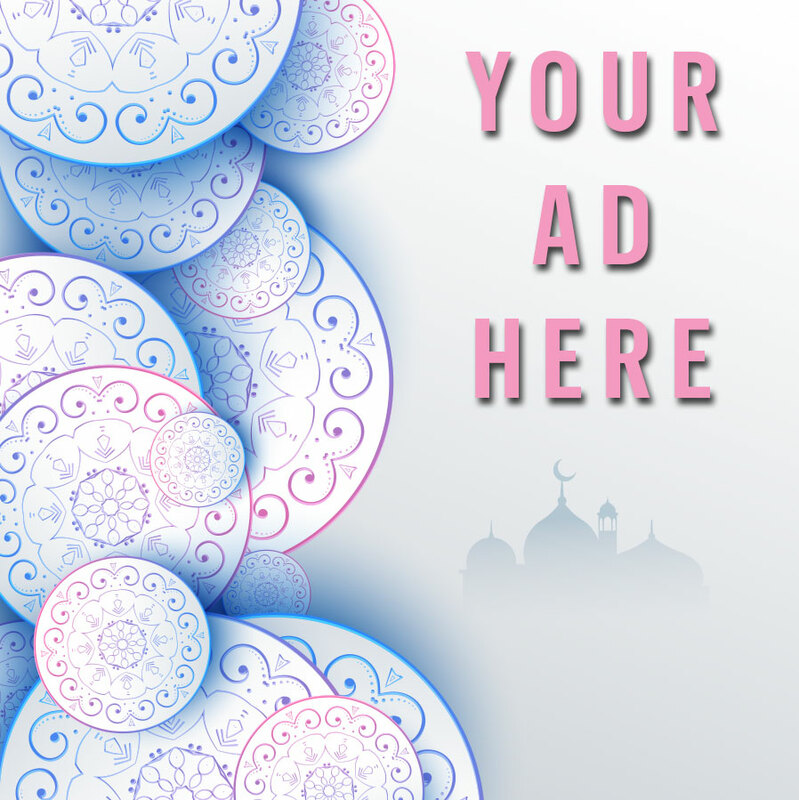 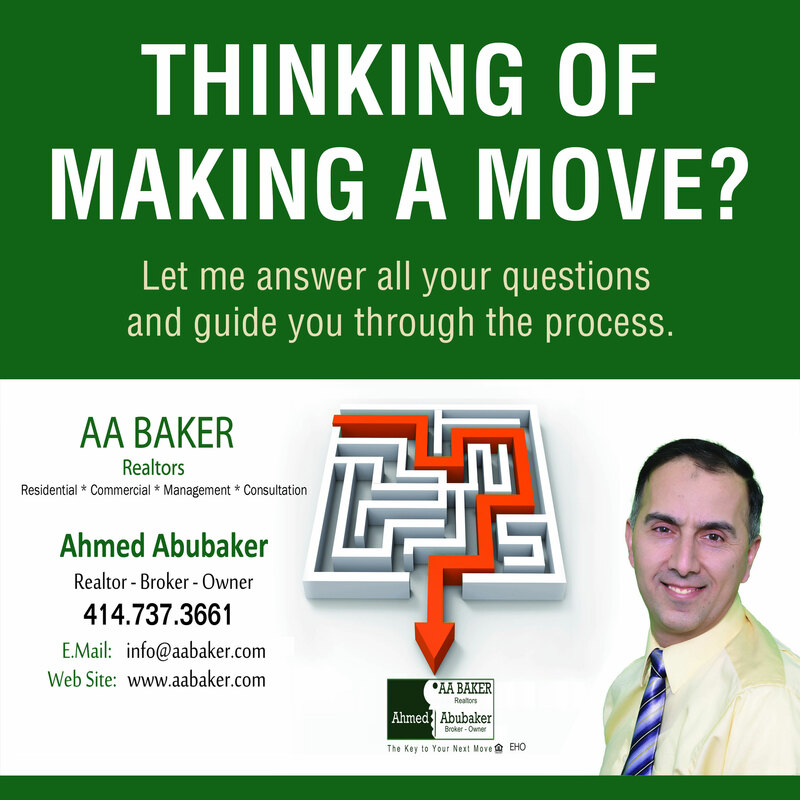 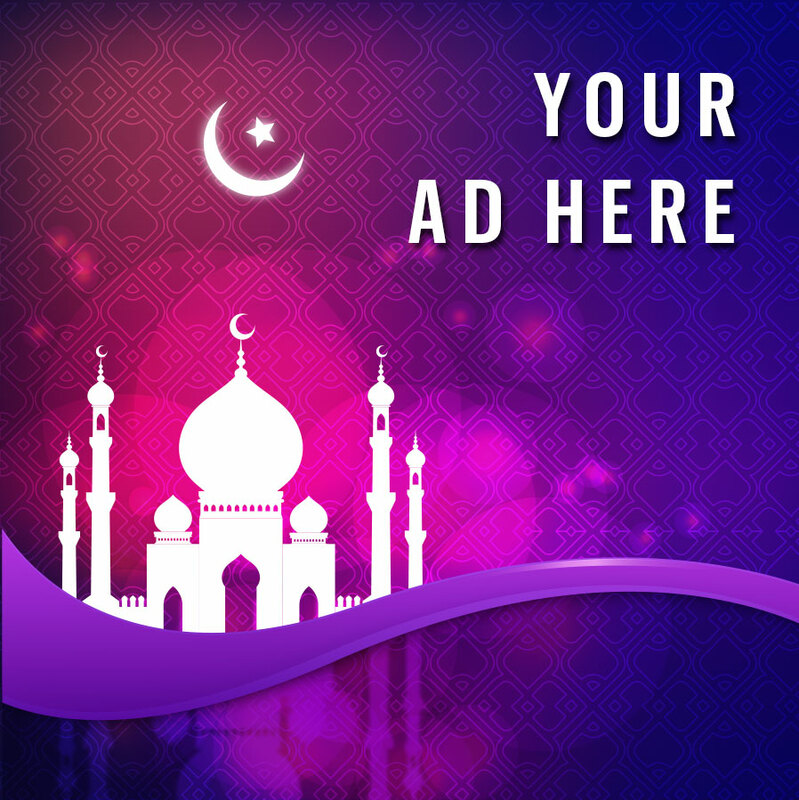 The ninth month of the Islamic lunar calendar, Ramadan moves up by ten days every year. 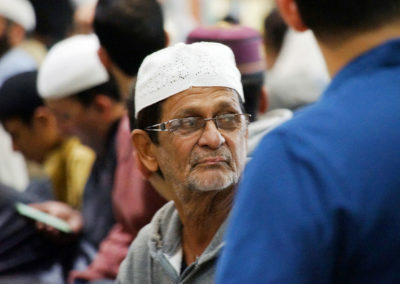 Over the course of a normal lifetime an individual will have fasted the entire year at least twice. 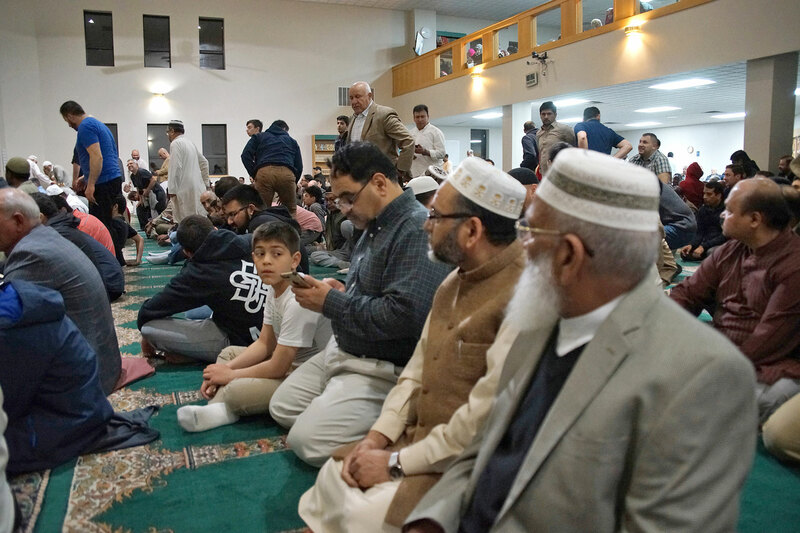 From pre-dawn to dusk, Muslims abstain from food and drink, even water. 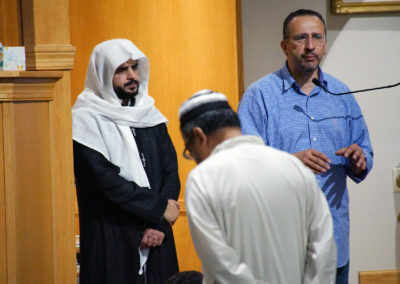 It is a recognition that fasting is an important form of worship, and the practice can be found in all of the Abrahamic faiths. 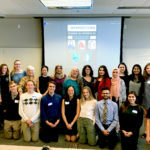 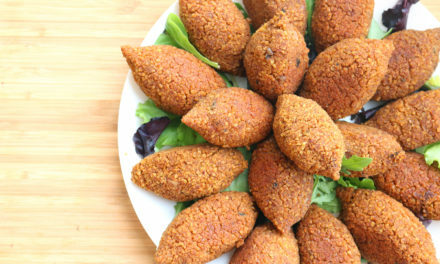 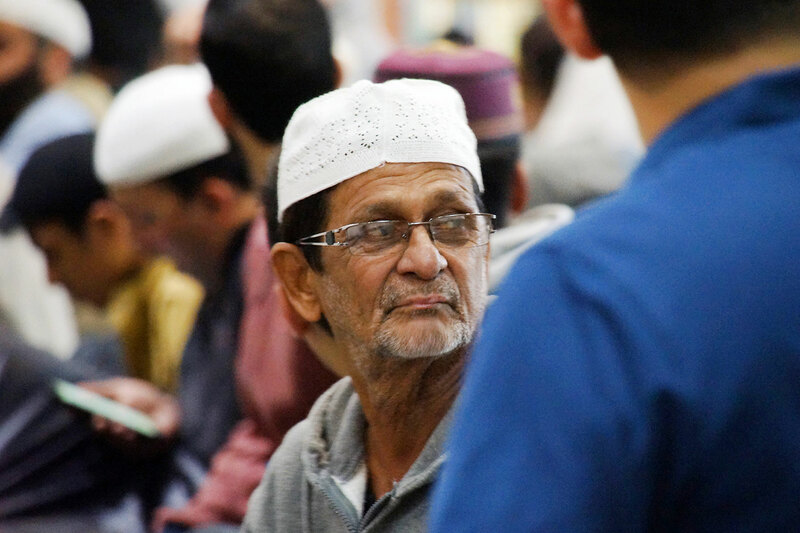 Fasting is required for all Muslims, but obvious exemptions include children under the age of puberty, pregnant and nursing women, those who are ill – whether temporary or chronic, and travelers. 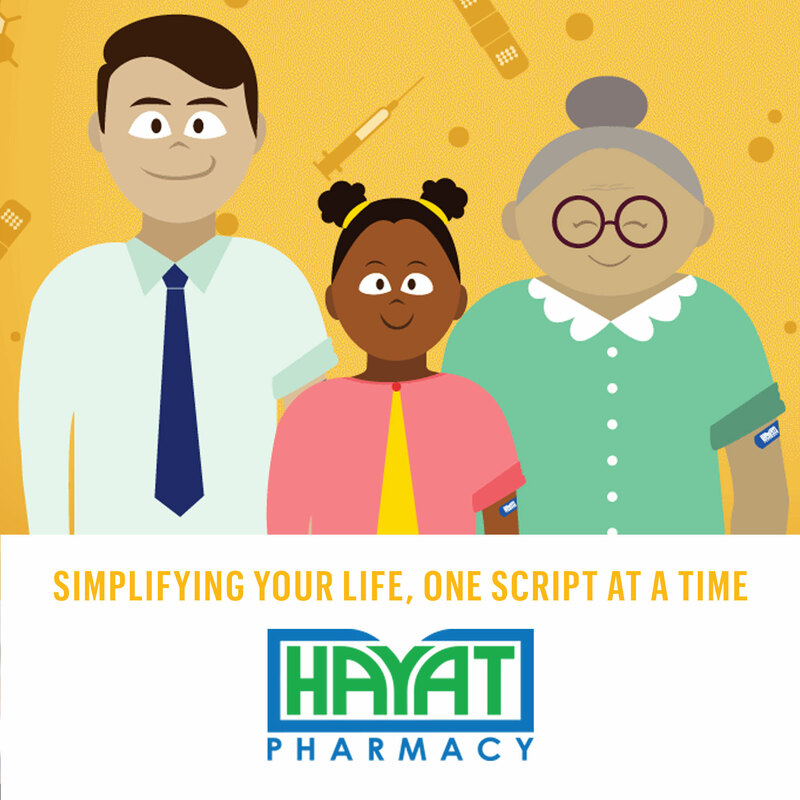 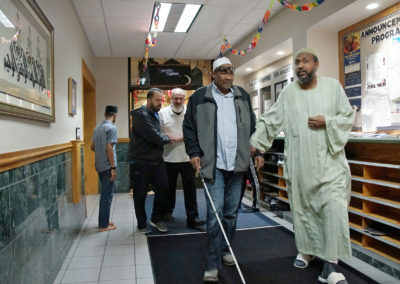 For temporary situations like a traveler, the individual is required to make up the missed days, but for a chronic condition like a diabetic, the individual participates in the fast by feeding a poor person two meals a day for the entire month. This is a month where there is a great increase in community prayers and fast breaking. 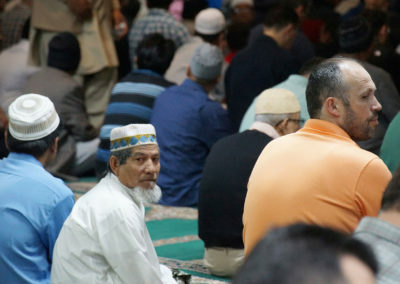 Muslims are encouraged to break their fast together and to invite those of lesser economic means to join them as well. 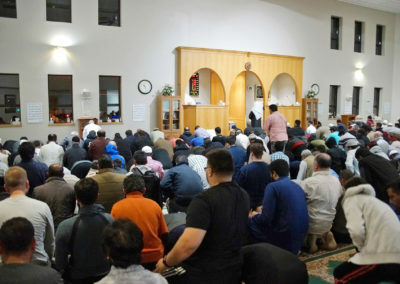 There are special Night prayers in Ramadan, called Taraweeh. 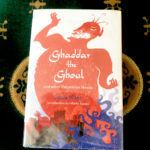 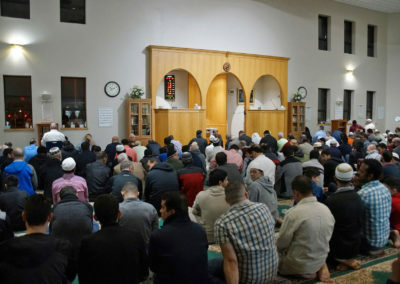 During the longer days of the year they begin quite late, beginning at 10:15 p.m. and ending around 12:30 a.m.
Ramadan is a period of great spirituality and self-reflection. 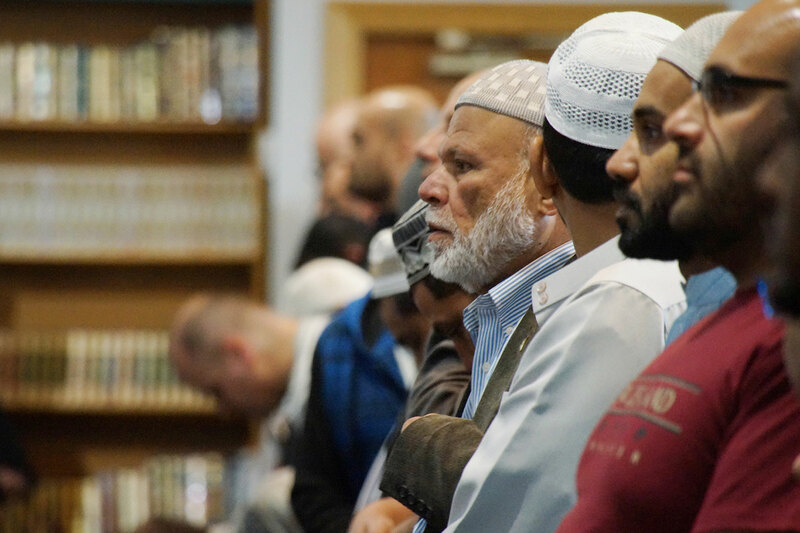 People that do not regularly worship at the Mosque will make an extra effort to attend the special prayers and community dinners. 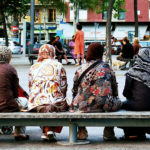 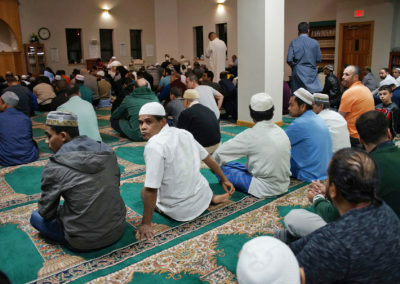 This is also a time of character building, because Muslims are taught that God has no need for people to leave their food and drink if they do not plan on leaving the vices and bad behavior that they may have brought into their life. 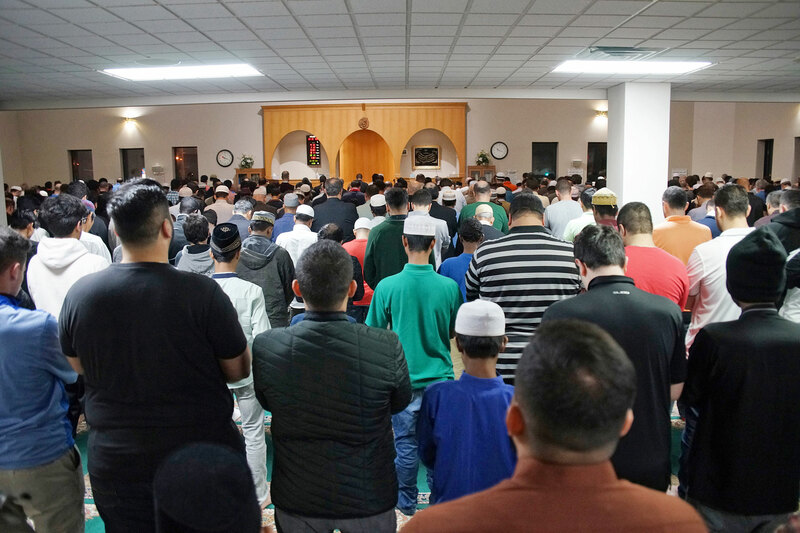 The Taraweeh prayers bring the community together. 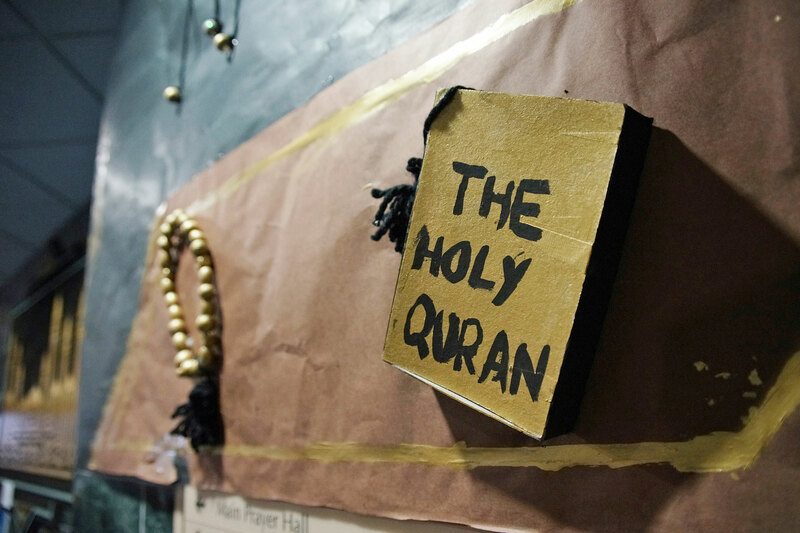 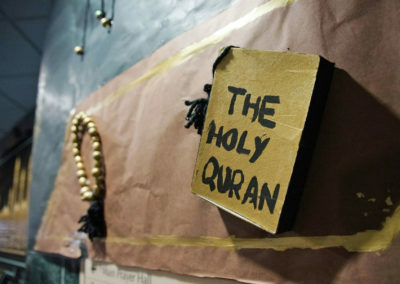 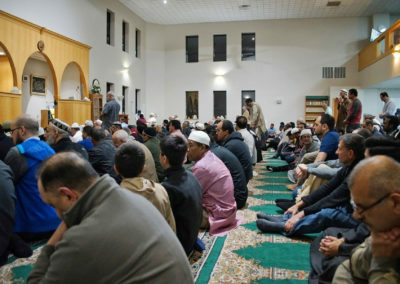 Each night at least 1/30th of the Quran is read out loud in the congregation by one of the many “Hafiz” in the community, an individual that has memorized the entire Quran. 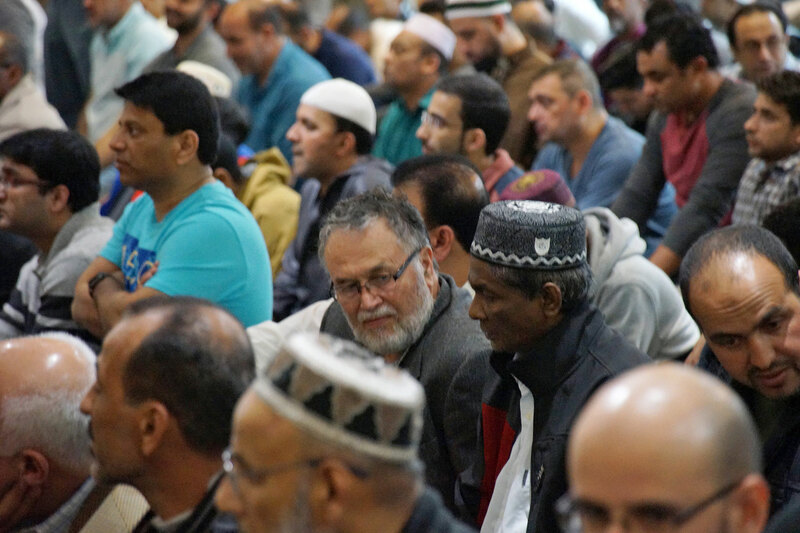 Hafiz literally means “one who safeguards” and the Quran, believed to be the word of God, is safeguarded by the tens of millions of Muslims who have memorized it by heart. 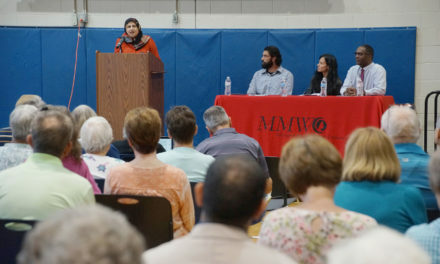 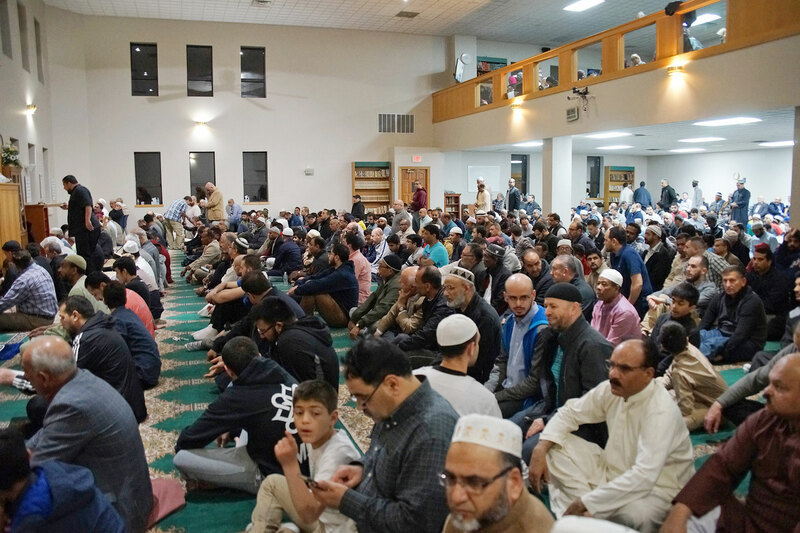 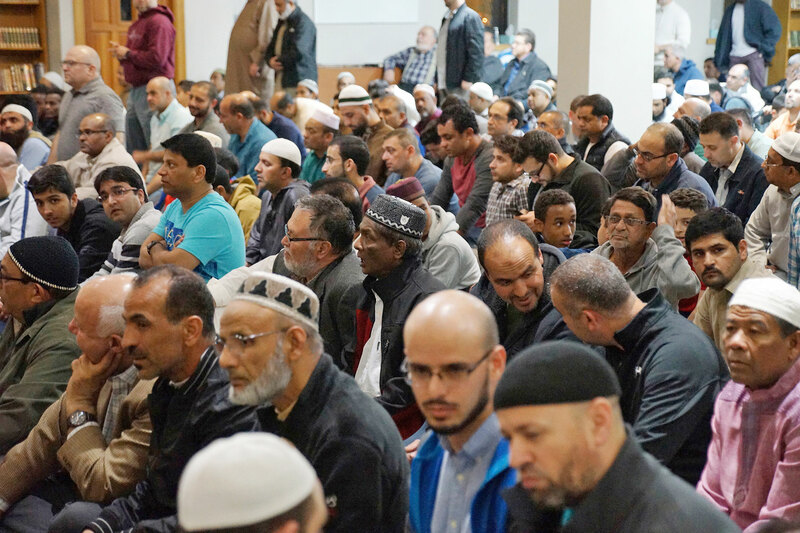 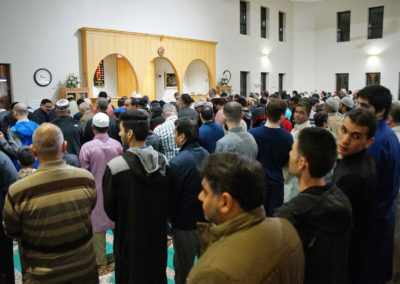 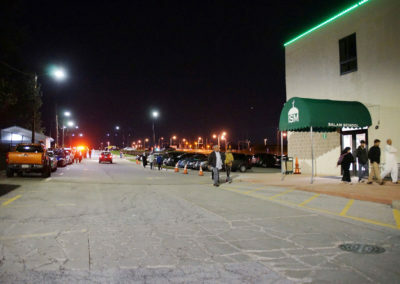 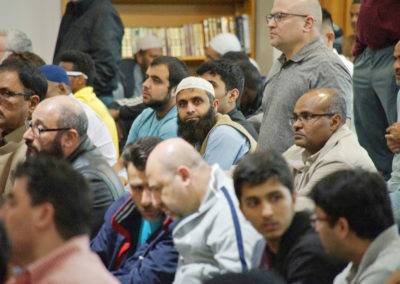 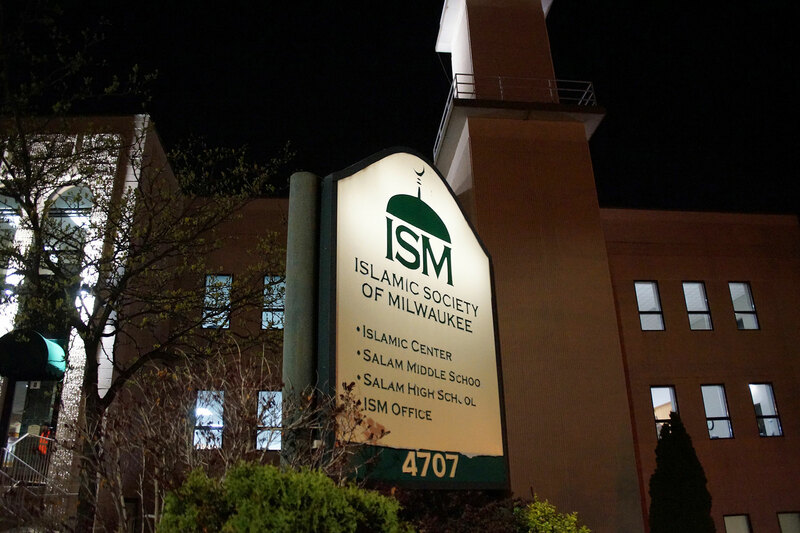 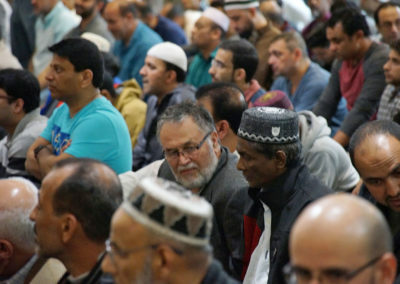 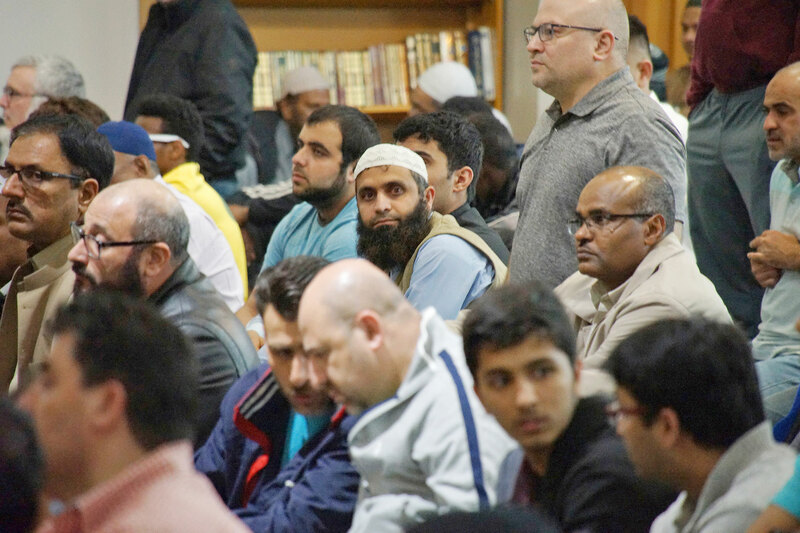 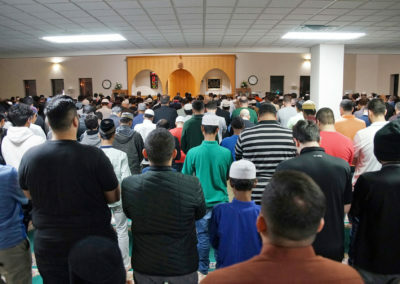 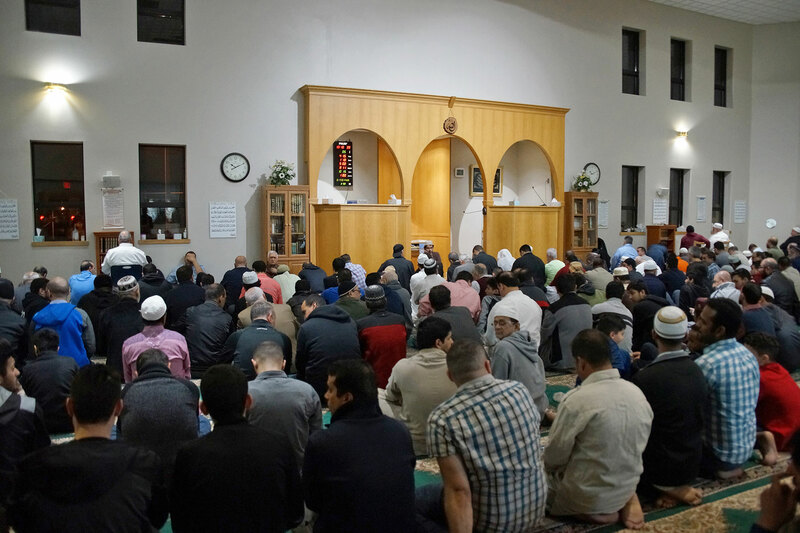 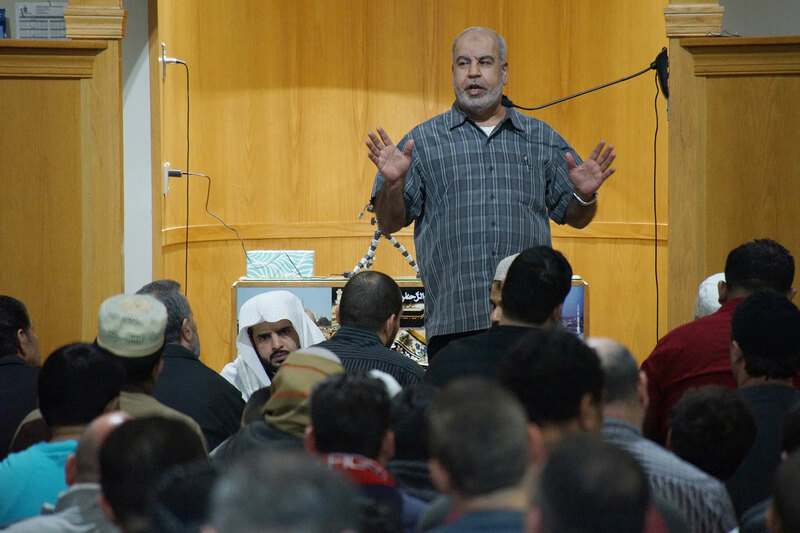 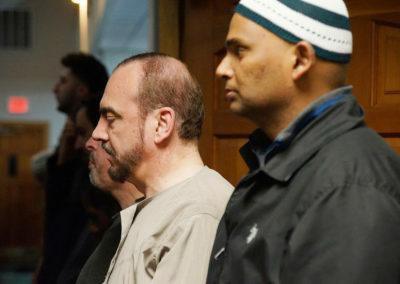 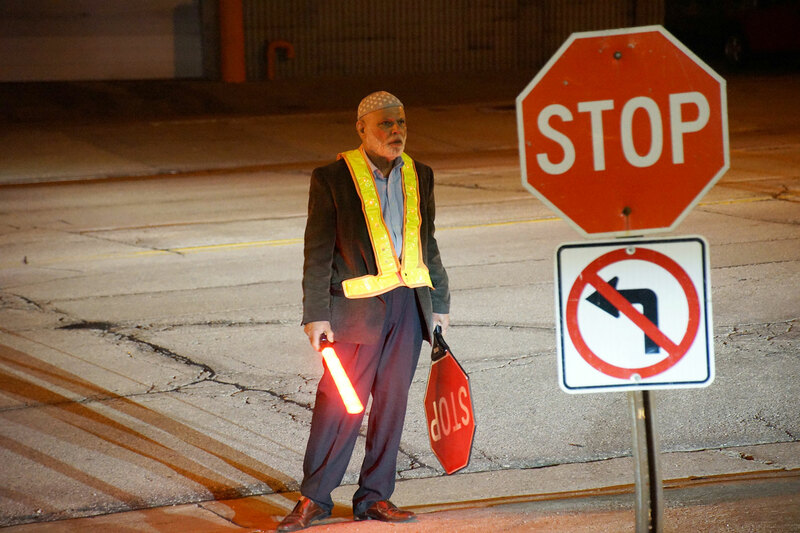 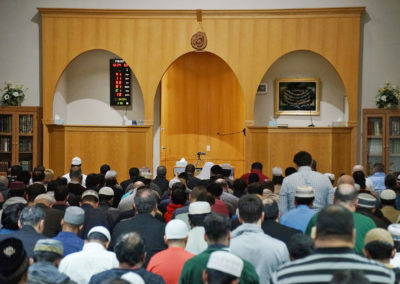 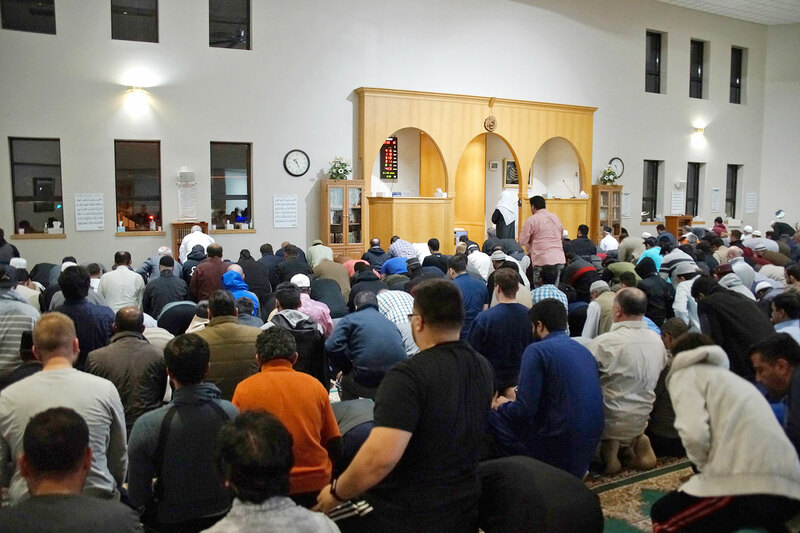 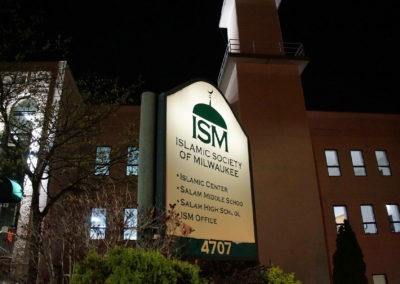 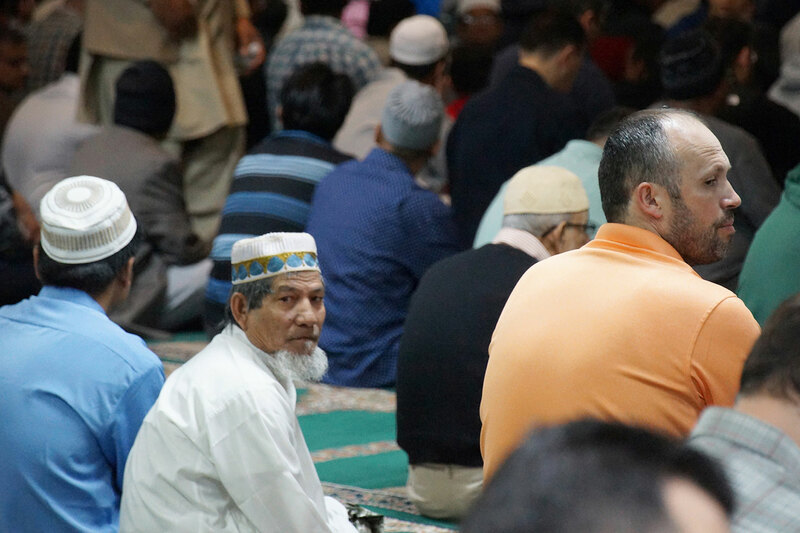 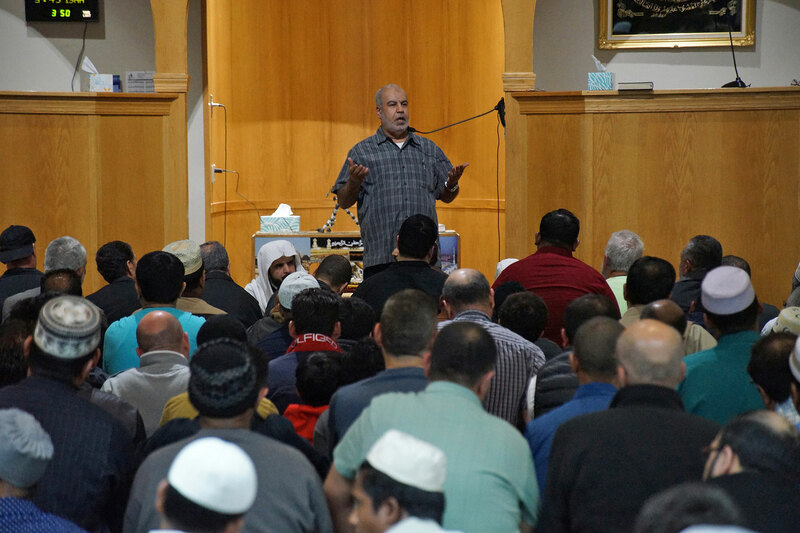 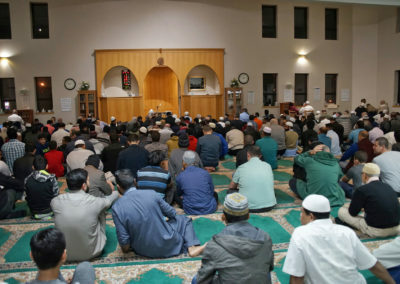 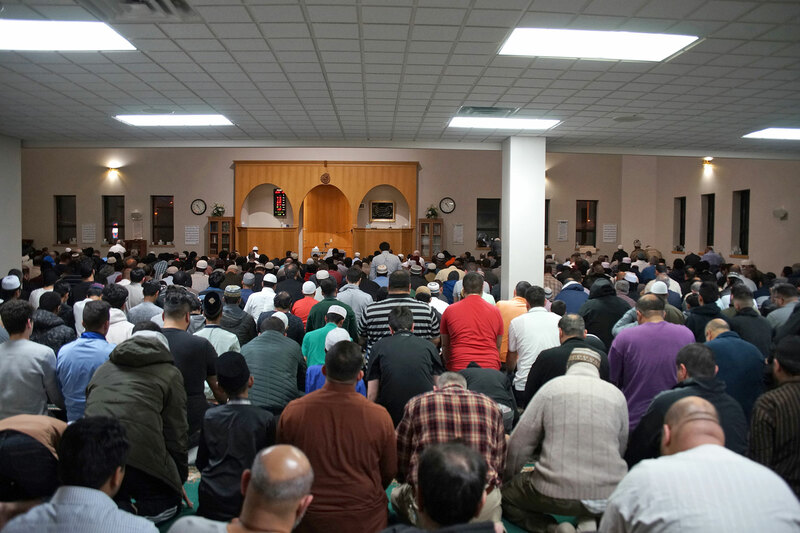 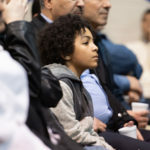 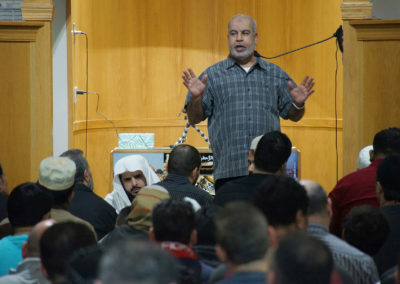 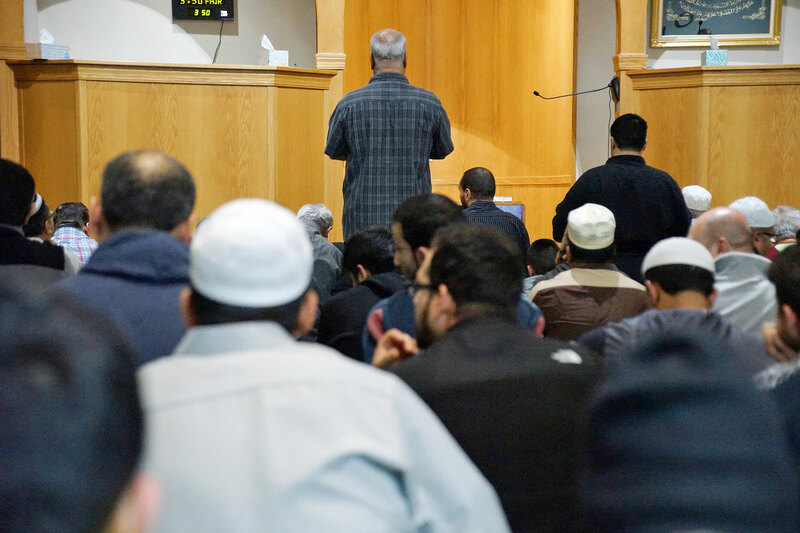 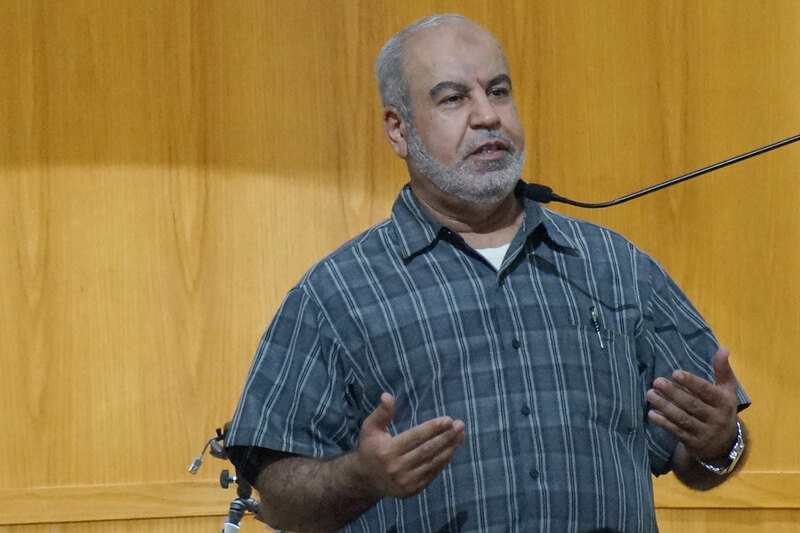 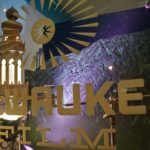 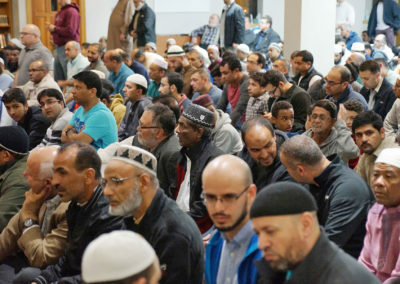 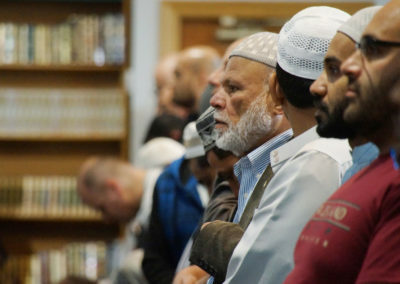 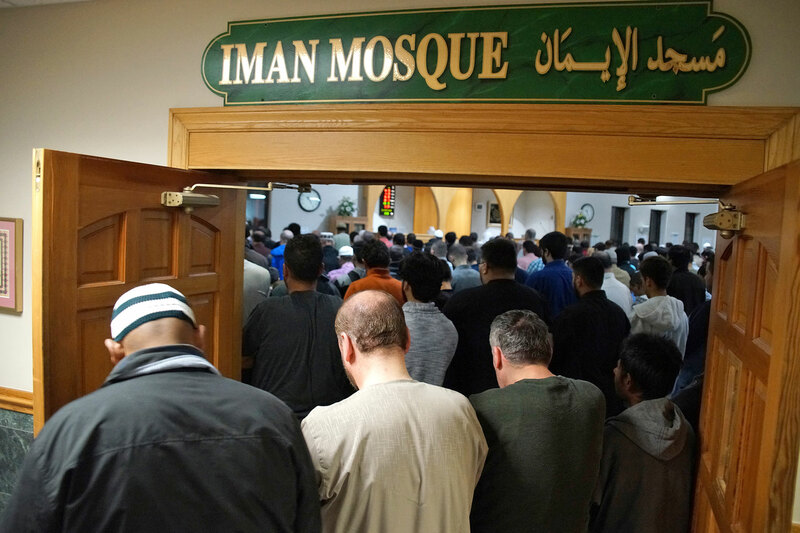 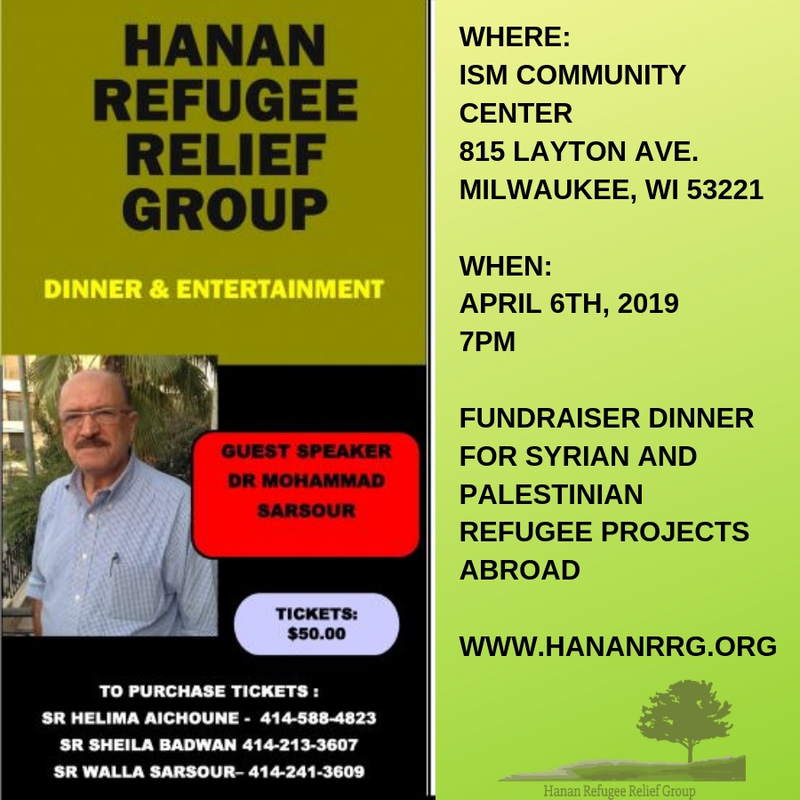 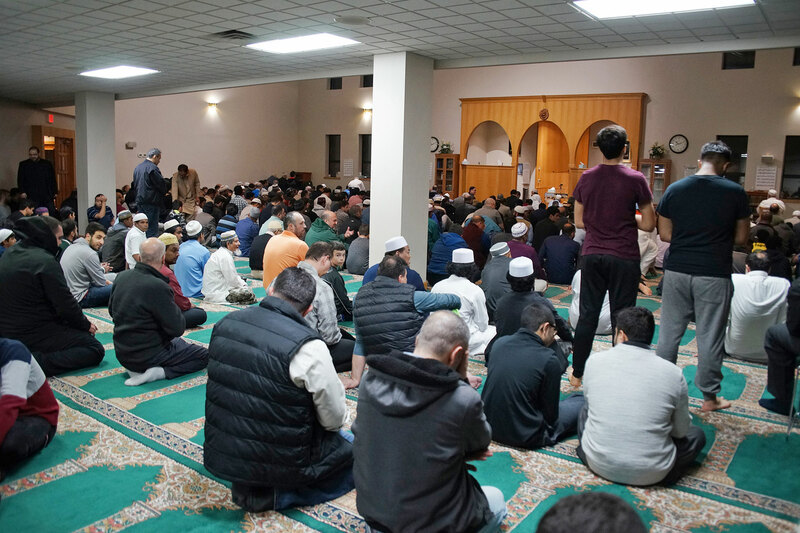 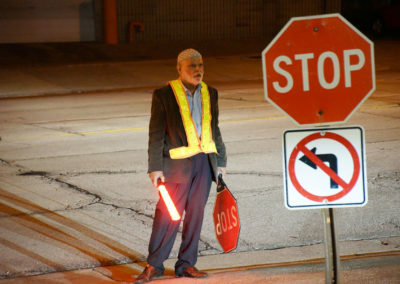 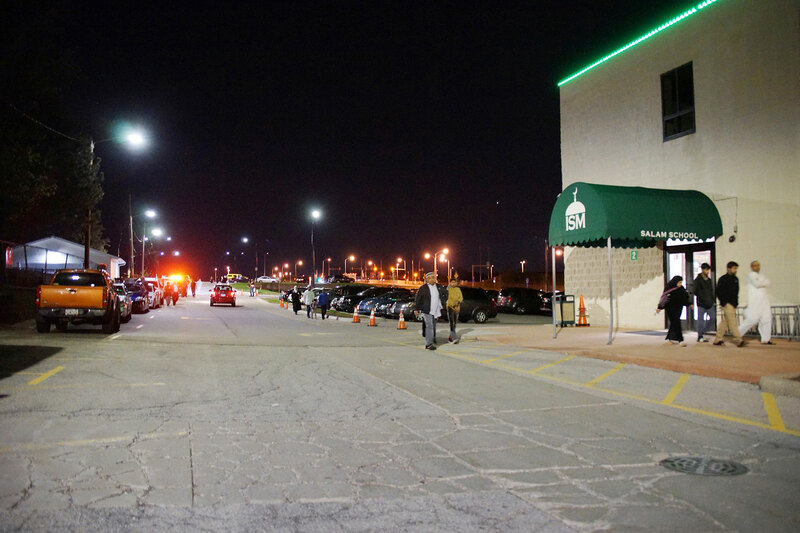 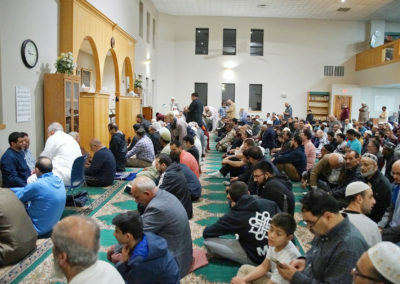 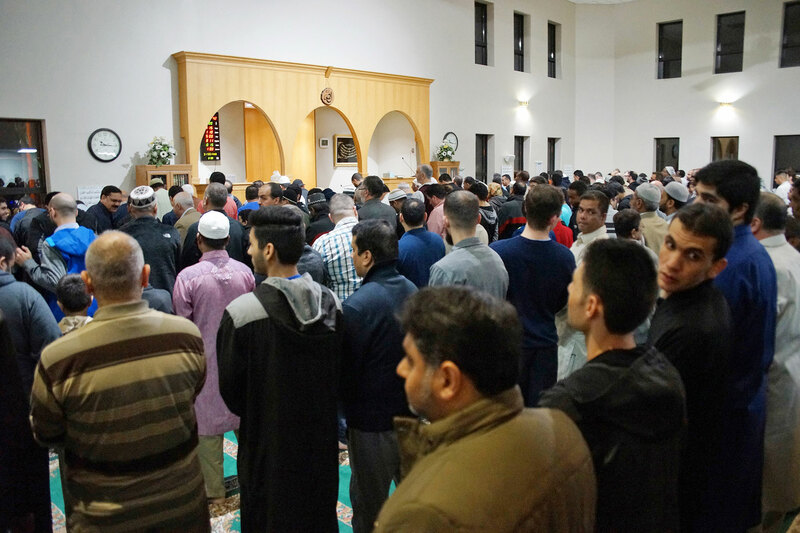 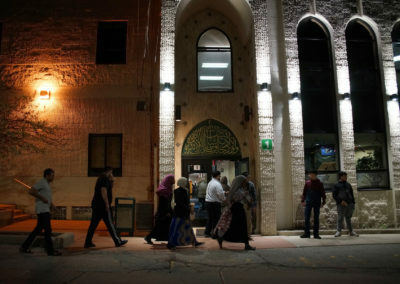 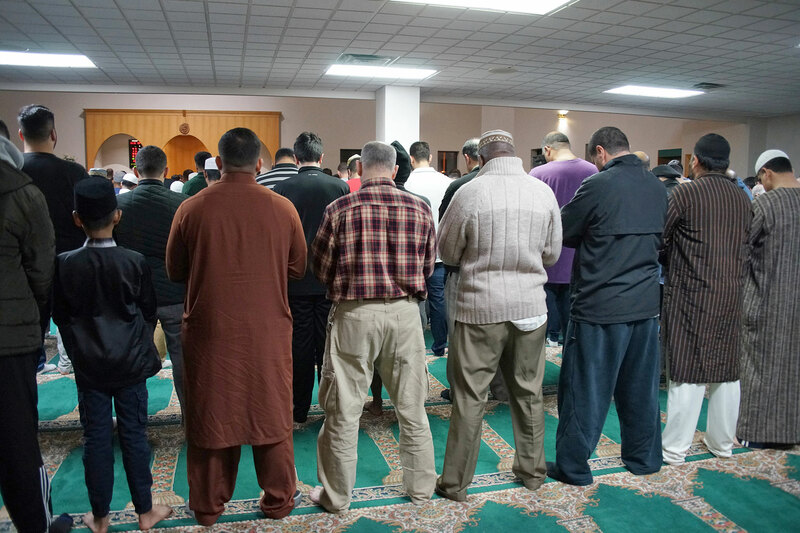 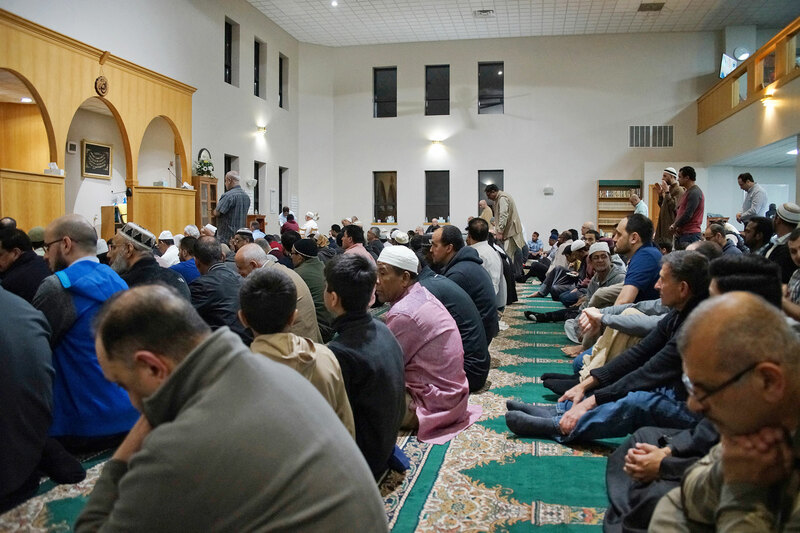 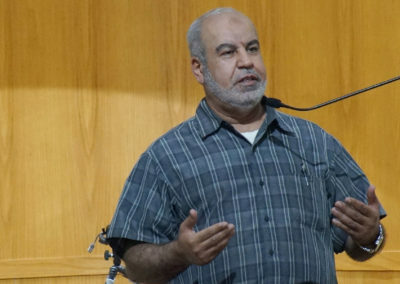 Ten Mosques in the Greater Milwaukee area were filled to capacity, and dozens of Mosques and groups across Wisconsin all held congregational Taraweeh prayers at the same time. 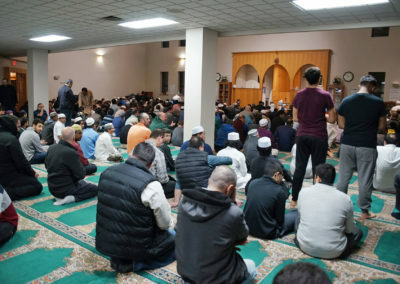 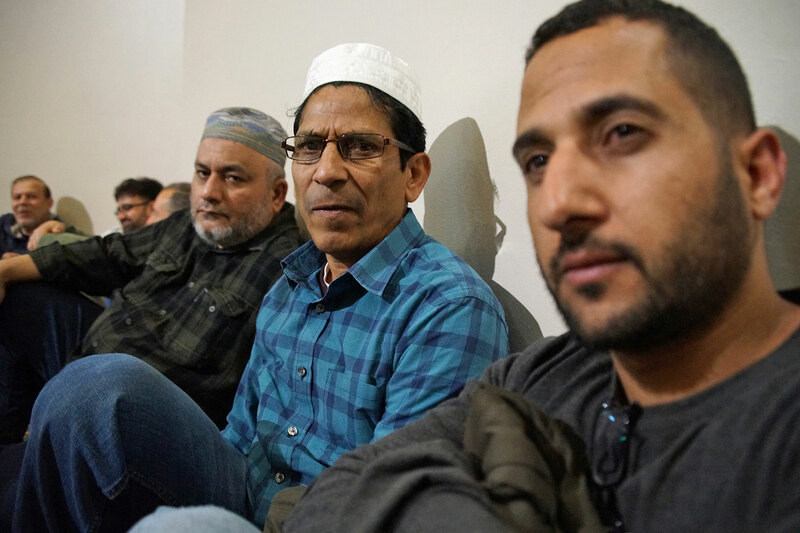 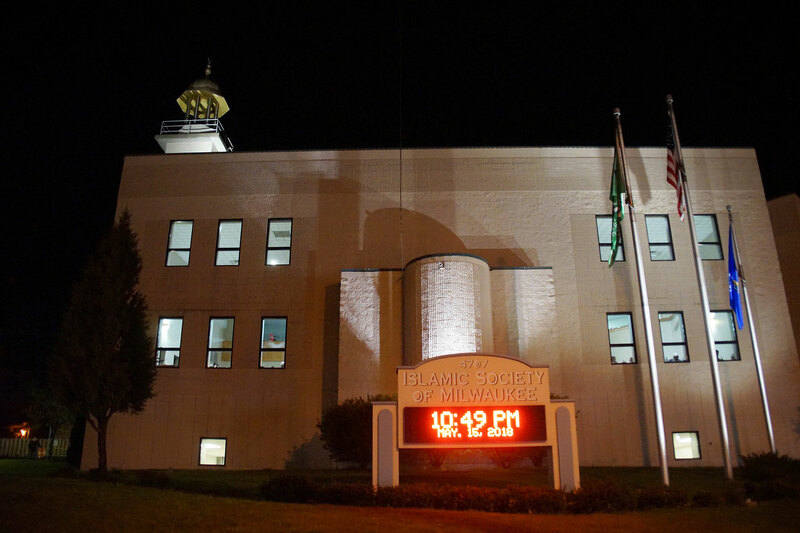 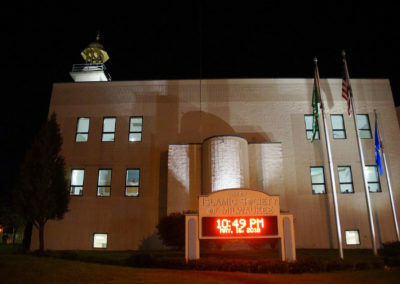 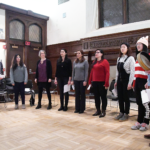 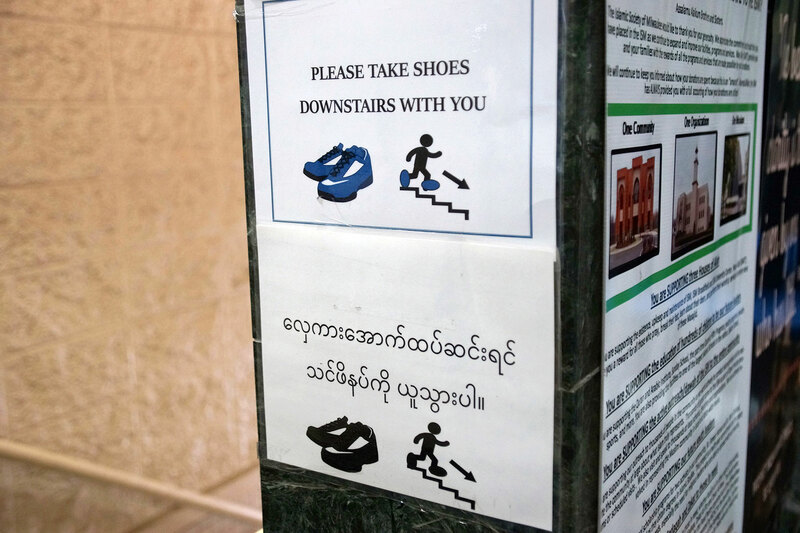 The first night included many announcements, including making sure to be silent when leaving the Mosque at 12:30 a.m., so as not to disturb neighbors sleeping nearby in their homes. 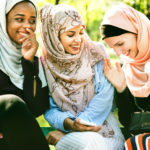 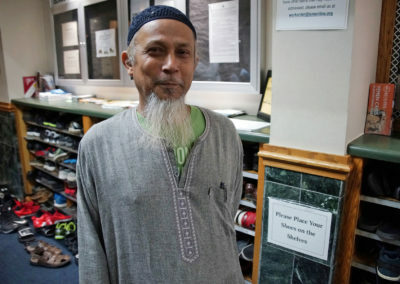 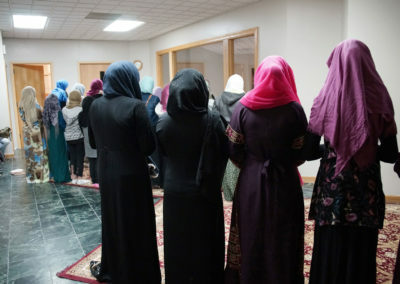 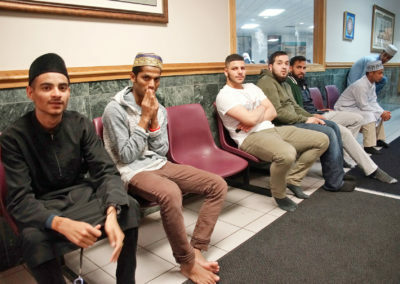 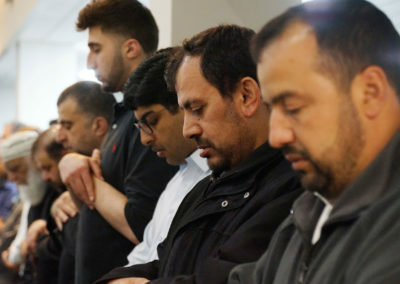 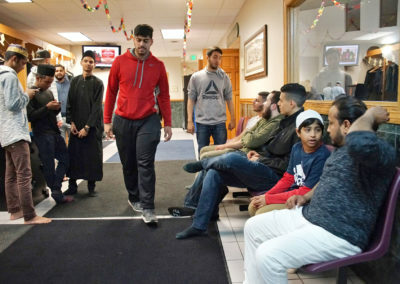 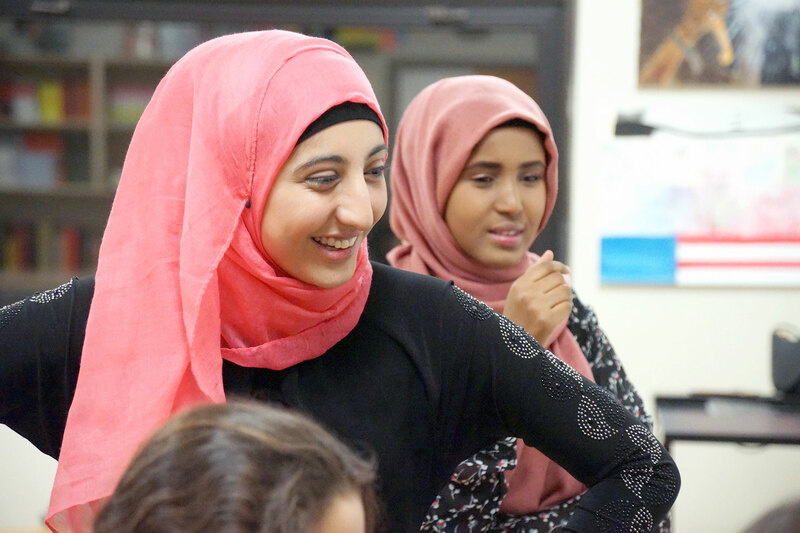 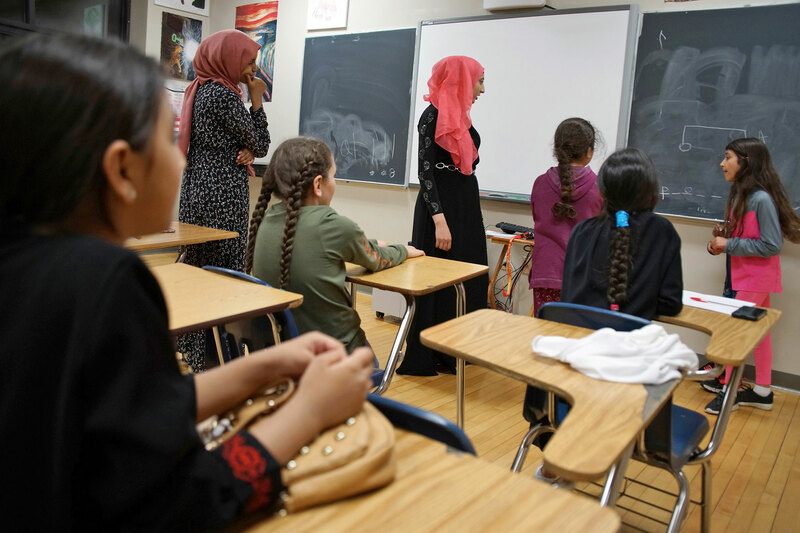 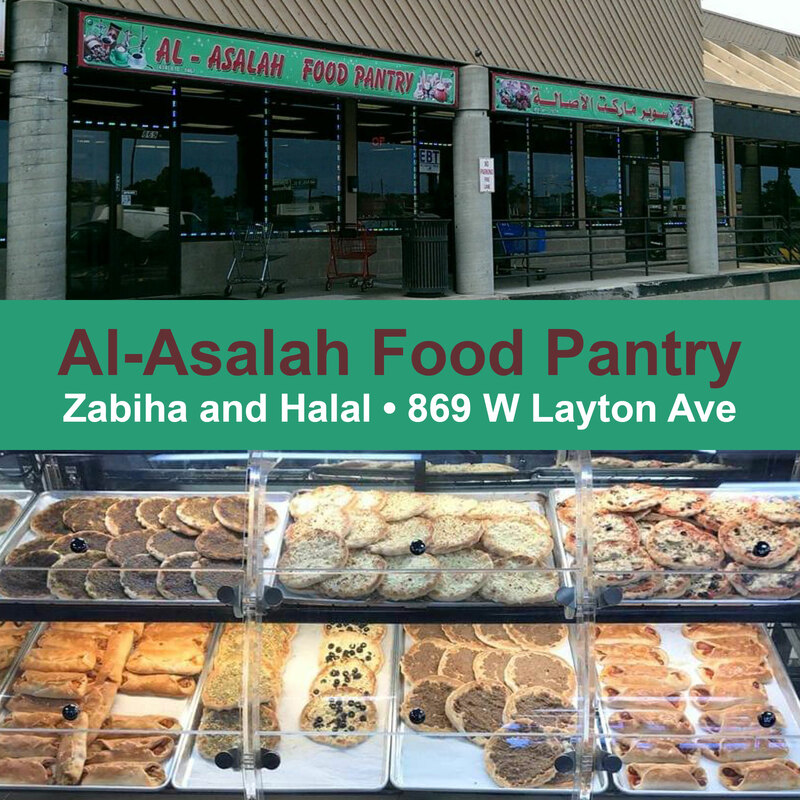 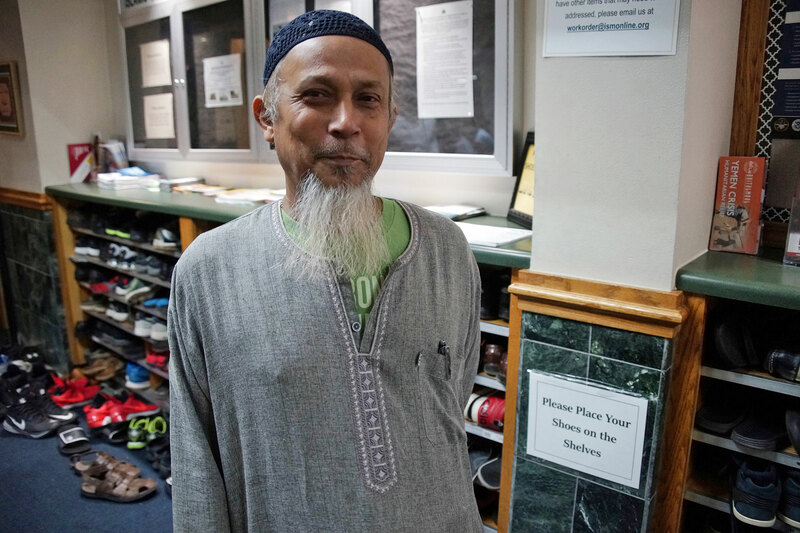 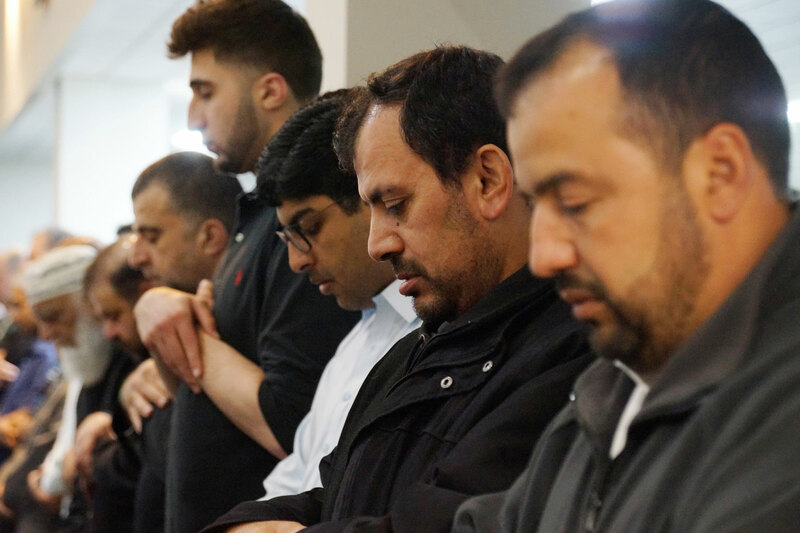 One of the most diverse religious groups in America according to Pew Research, the Muslim community’s diversity is most evident during Ramadan prayers. 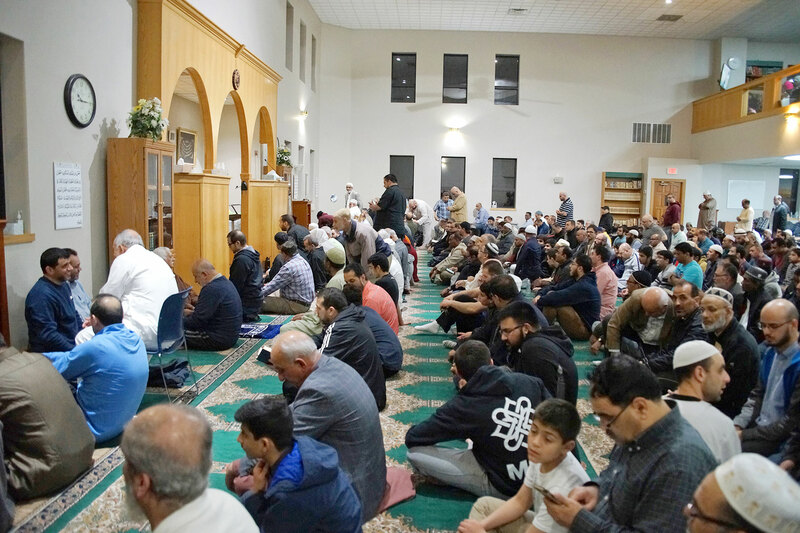 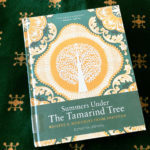 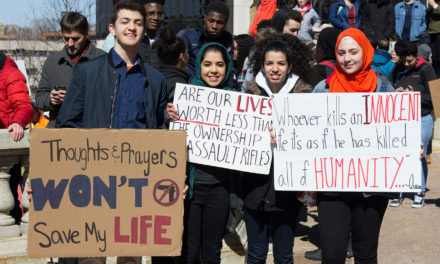 With worshipers spilling into the community areas of prayer halls and connected by television monitors in gymnasiums, people stood shoulder to shoulder, kneeling and prostrating as one. 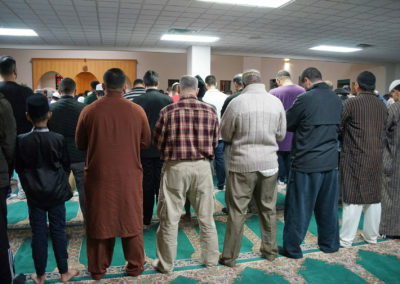 Even the Imam, or prayer leader, prays on the same level with the rest of the congregation. 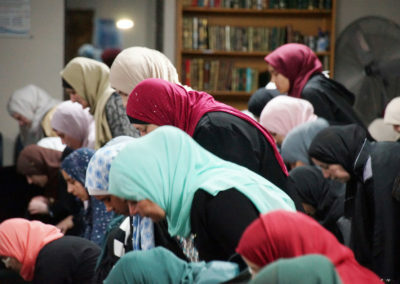 Due to the close proximity in which people pray together and the movements involved, Men and women pray separately. 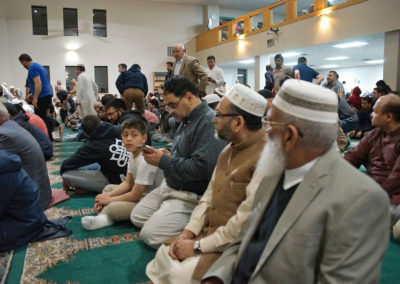 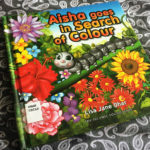 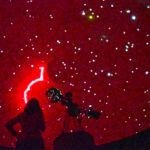 Children are kept occupied in babysitting or activity rooms based on age. 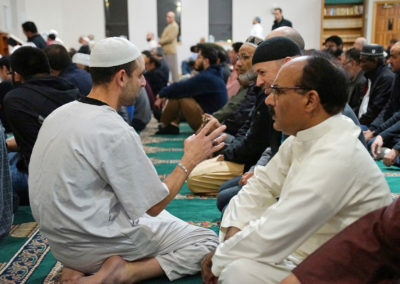 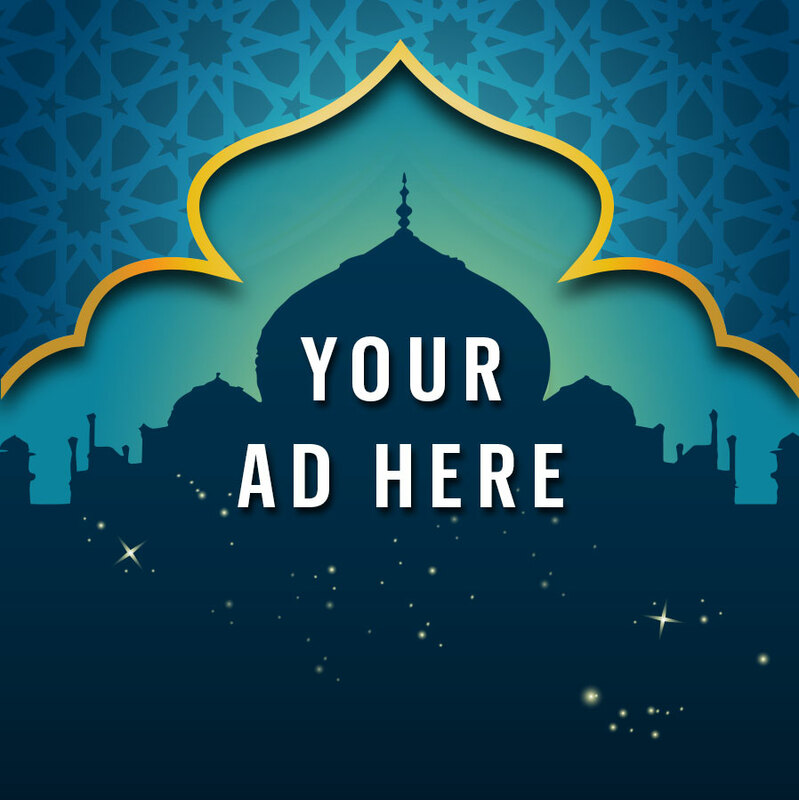 When people entered the Mosque, the phrase “Ramadan Mubarak,” or Blessed Ramadan greetings, could be heard being constantly exchanged. 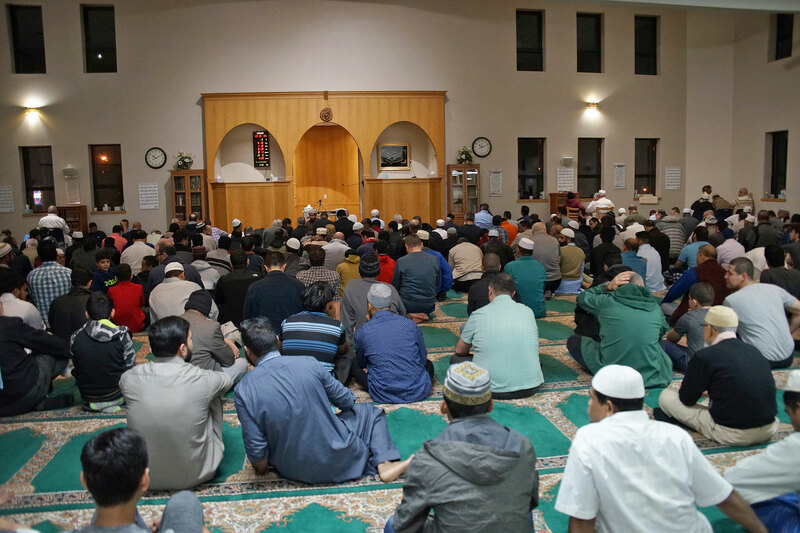 As people left, they prayed for each other that God accepted all of their efforts on the following blessed nights. 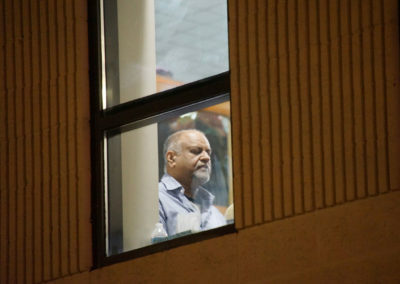 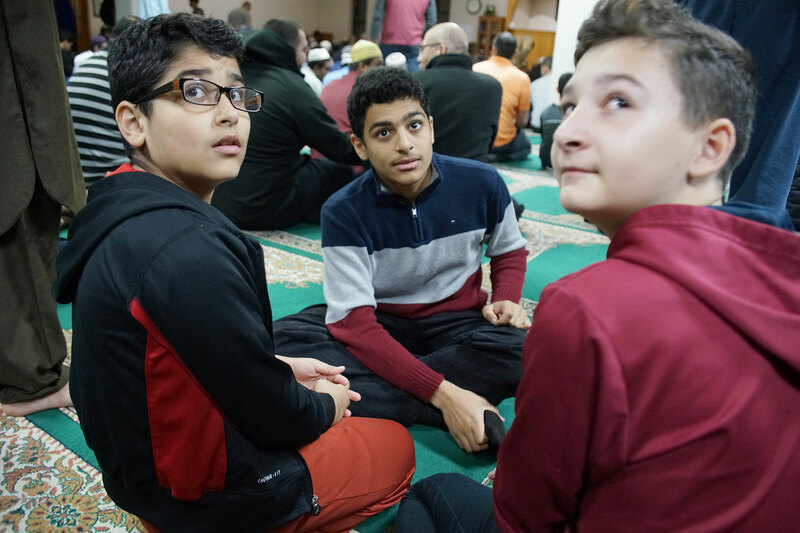 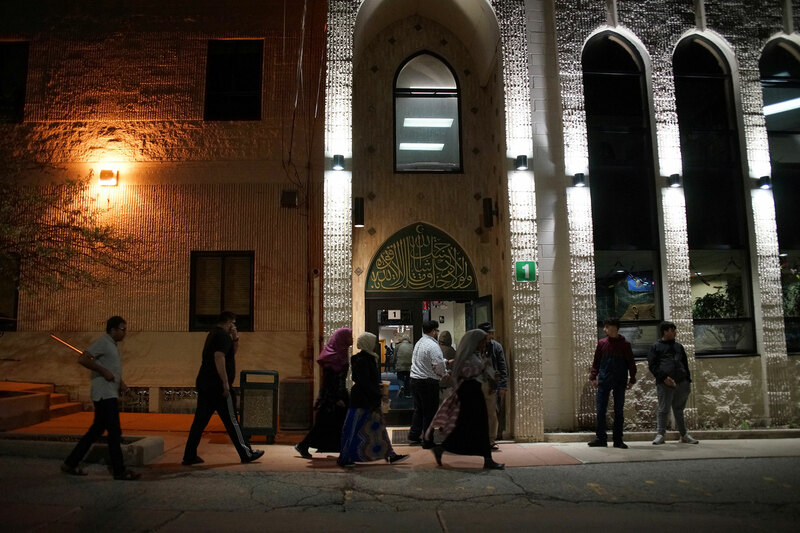 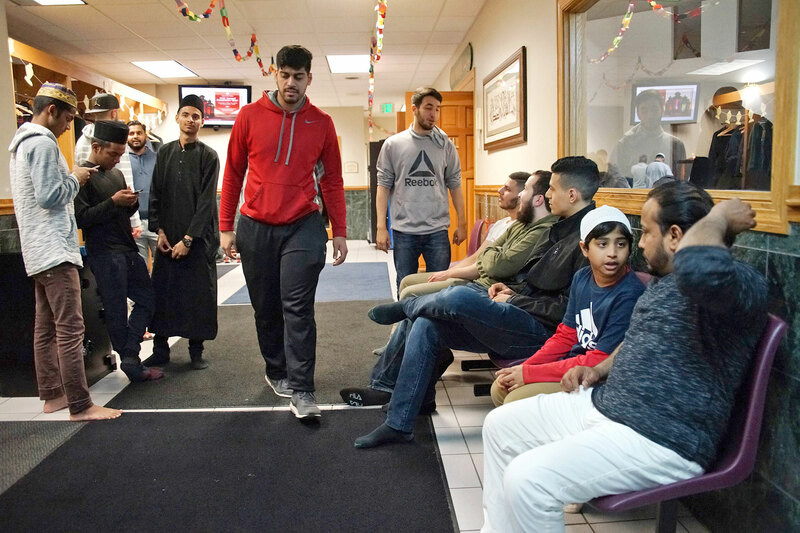 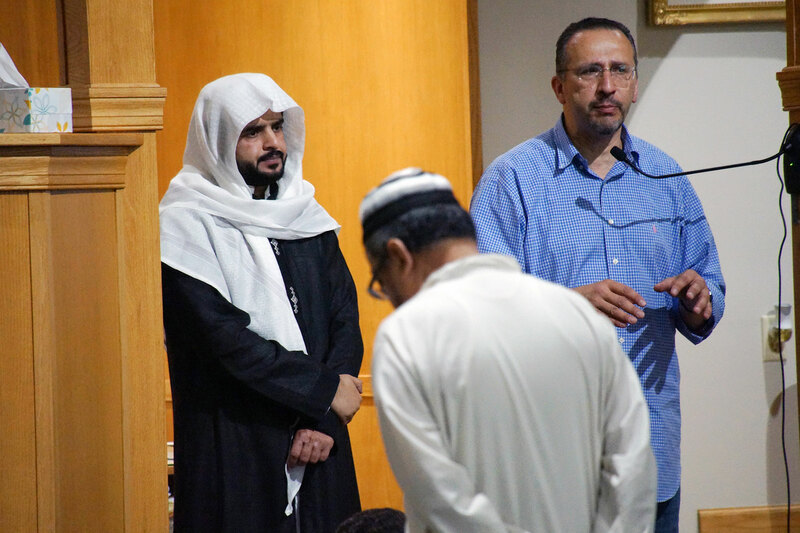 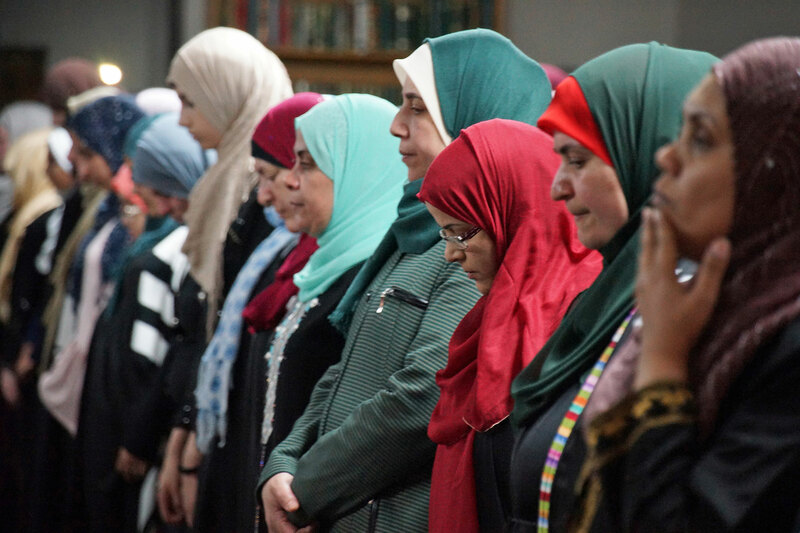 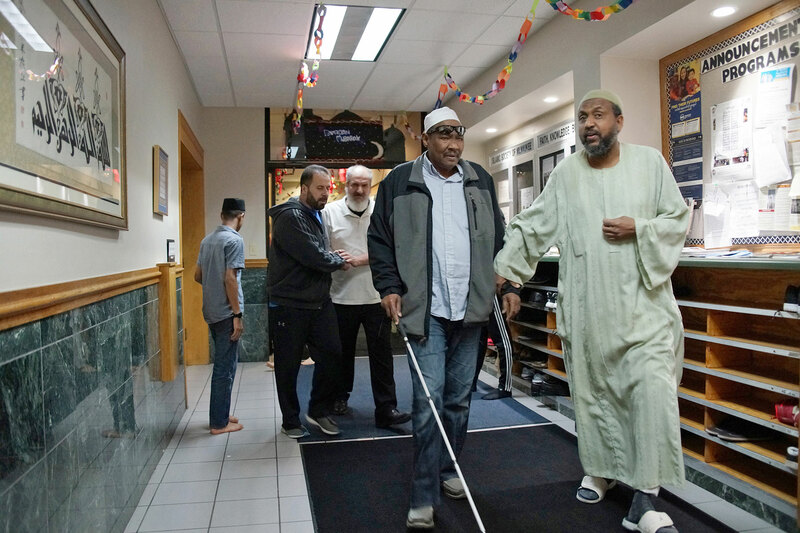 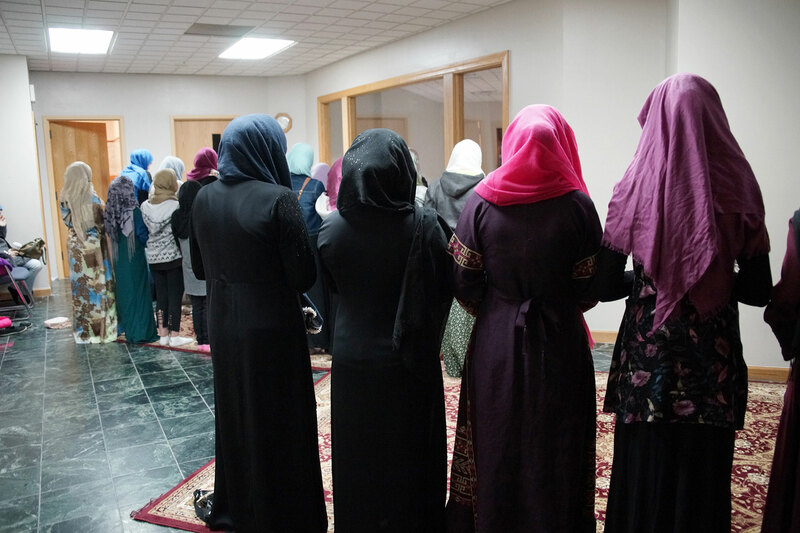 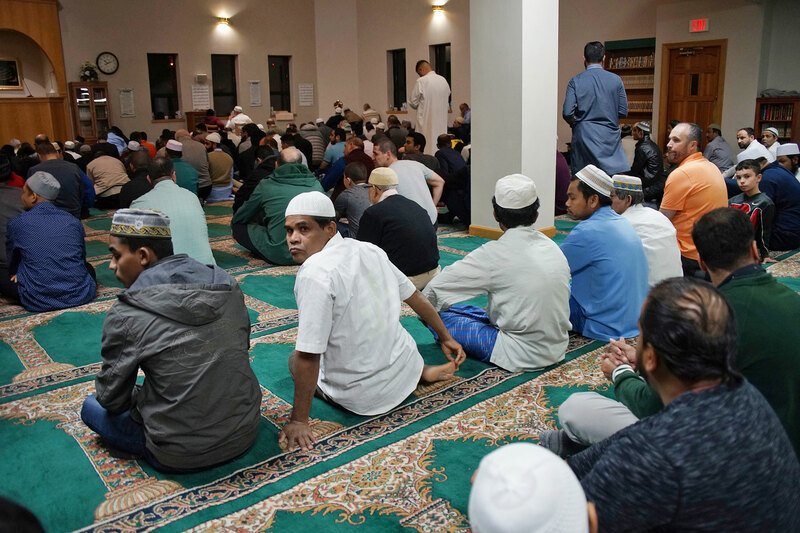 The Wisconsin Muslim Journal captured images from the first night of Taraweeh at the Islamic Society of Milwaukee at 4707 S. 13th Street. 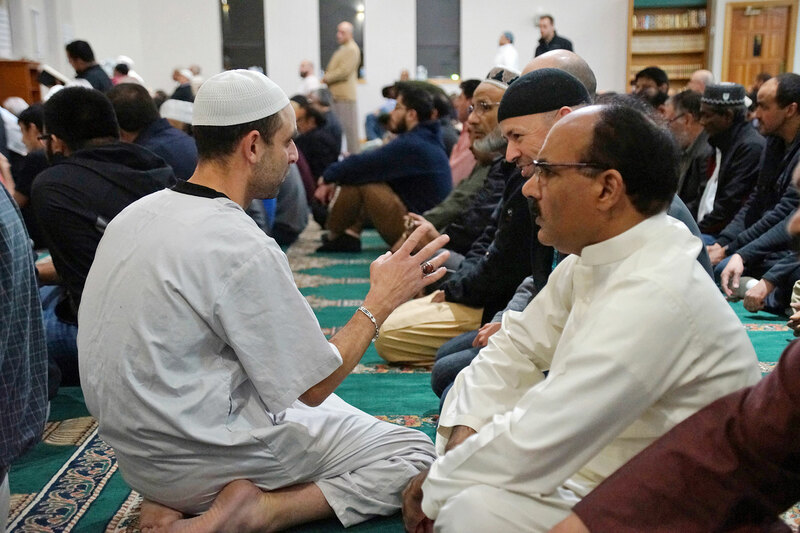 The photos offer an intimate look at the local people sharing and observing their faith and fellowship.